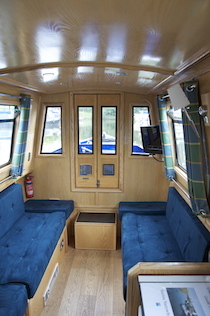 The Star12 class canal boats. 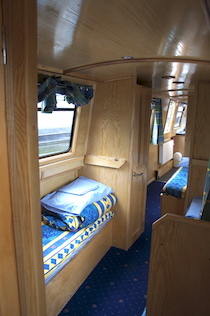 Freshly laundered bedding are supplied for each crew member and duvets , as per your requirements. Additional bedding is available upon request. A fully equipped kitchen with a four ring gas hob, oven, grill, fridge and sink / drainer, kettle. With twelve on-board two sittings for meals would be required for meals at the table. 2 bathrooms with basin, shower and flush toilets. Pressurised Hot and Cold water to Galley, Showers, Basins & Toilets, electric pump out shower. 240V x 2 Pin shaver point (for shaver only). Electric macerator toilets. 12v battery supplied electricity with socket. 240V x 2 Pin shaver point (for shaver only). Cigarette Lighter (To Charge mobile phones) 12V Electric Lighting throughout.